Located at Central Elementry, Shaughnessy & Welcher St. 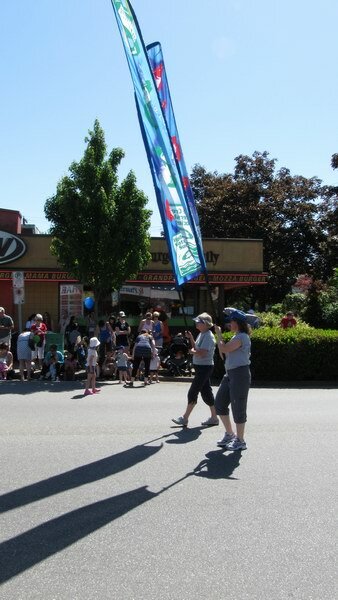 The PoCo May Day Festival theme is to Celebrate our Community and the Rotary May Day Parade is one of the many festival activities during this community celebration. In keeping with the festival theme all parade entries must promote positive and family friendly organizations and causes. Please read the following parade guidelines and regulations carefully, and retain for your records. 1. Entries must observe all guidelines and regulations and follow directions from Parade Officials and police or your entry will be removed from the parade. 2. Entries must be in good taste and are subject to the approval of the Parade Officials. 3. 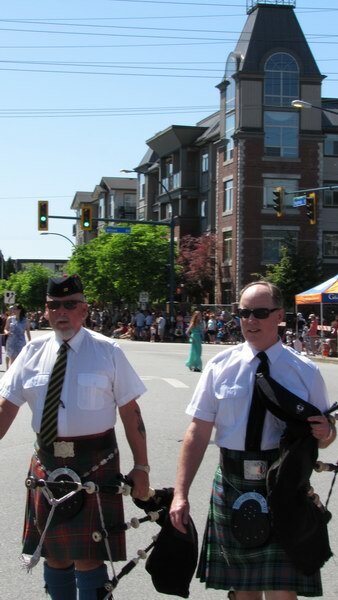 The May Day Rotary Parade committee and the City of Port Coquitlam reserve the right to decline any entry. 4. Due to safety considerations, the throwing of candy or promotional items from floats is not permitted. You may have people walking alongside the float to distribute these items person-to-person. 5. Alcoholic beverages and other controlled substances are forbidden on any float, in any vehicle, or on the person of any participant. Violators of this rule are subject to the removal from the parade. 6. Children under 12 must be supervised by an adult at all times. 7. Any entrant with horses and/or live animals requires a cleanup person along the parade route. 8. Music on floats is encouraged and the selections must be family friendly. Sirens will only be used by EMERGENCY VEHICLES to attend to an emergency. 9. Cell phone use is not permitted by any parade vehicle drivers. 10. All entries must maintain a forward motion regulating their speed for a spacing of no less than 15 meters and no more than 30 meters behind the proceeding unit. 11. A communication system will be in place along the parade route to monitor parade progress and to address any issue that may arise. 12. All entries completing the parade route will disperse in the assigned dispersal area. 13. Judging begins as the parade progresses. Prizes are awarded in the categories of Community Group/Association, School, and Commercial. See the Rotary website for winners within 2 weeks. 14. Every parade entry is required to have two safety people walking with them, one safety person on each side of the entry for the duration of the parade route. NOTE: Exceptions include marching or walking entries with participants over the age of eighteen. 15. The driver of each float must have a valid BC driver’s license and remain with the float at all times. 16. All floats must carry a fire extinguisher (dry chemical, at least 5 lbs). The float driver must be familiar with how to use the fire extinguisher. 17. All parade floats must be insured and it is the responsibility of the entrant. 18. If participants are standing on their float, they need a safety hold which is required to be attached to the framework of the float. Seated participants need to wear a seatbelt or have strong hand-holds. 19. No person shall be wired or tied in a manner which means that they cannot release themselves quickly. 20. The size of the float must fall within the following guidelines: 13’ wide X 24’ – 32’ in length with a maximum height of 13’. 21. Signage on floats must be kept to a minimum and be in proportion to the size of the float. Advertising on floats is limited to the name and location of the float sponsor. 22. All bands and marching units must be in full uniform. 23. Companies must provide their own volunteer/handlers for mascot or comic entries. 24. All parade entries must be adequately insured and it is the responsibility of the entrant. Evidence of that must be available. 25. All motorized vehicles and trailers are required to have appropriate vehicle insurance (ICBC) and must have evidence of that available.